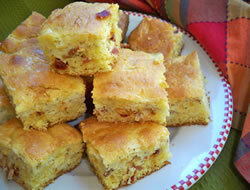 Corn bread with a tomato and bacon cream cheese layer in the middle that gives it a savory flavor accent. 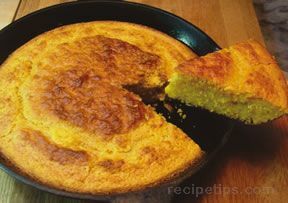 This corn bread is a nice complement to any Mexican-style meal. Preheat the oven to 375 degrees F. Grease a 9 x 13 baking pan. Combine the cream cheese, butter, cornstarch, and pepper in a mixing bowl and beat until smooth. Beat in the milk and eggs until well mixed; stir in the tomatoes and bacon. In a separate bowl mix the corn bread mix according to package directions. Pour two-thirds of the corn bread batter into the prepared baking pan. Spread the cream cheese mixture over the corn bread batter; then drop the remaining corn bread batter by small spoonfuls over the cream cheese layer. 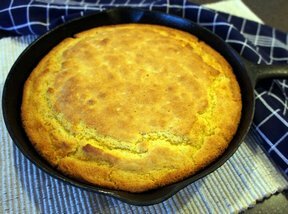 Bake in the preheated oven for 30 minutes or until corn bread springs back when lightly touched. Do not over bake. Cool slightly before serving and then serve while it is still warm. 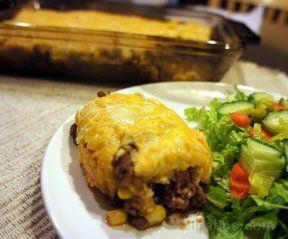 "I made these to serve with a Mexican casserole. They were pretty good but mine turned out a little dry. I think I just baked them a little too long."